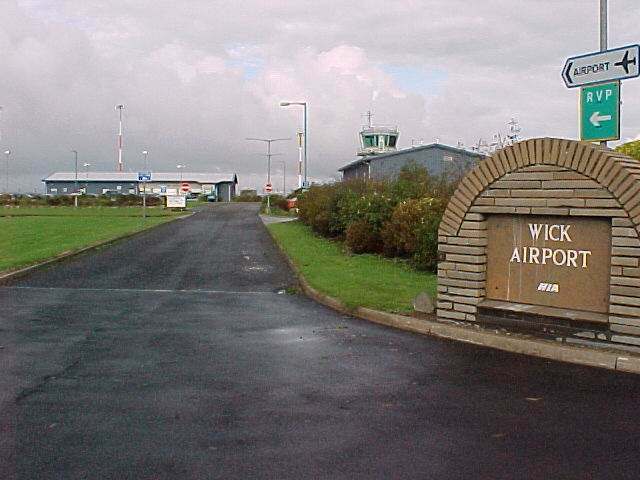 The fastest way to get to Caithness is by air and the airport at Wick has within the last few years been upgraded to have the most up to date facilities. It has refueling services and can accommodate private aircraft and helicopters. The scheduled flights are operated by British Airways subsidiary Loganair. 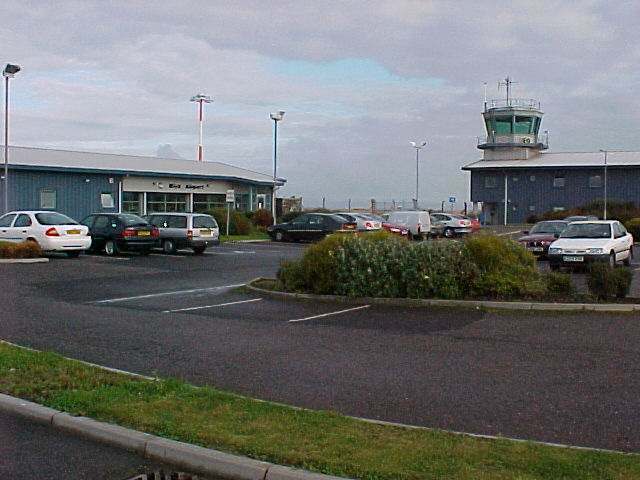 A variety of aircraft use the airport. Direct connections from Edinburgh, Aberdeen, Inverness with through connections to Orkney, London and many other places in the UK. There are daily flights except Sunday. 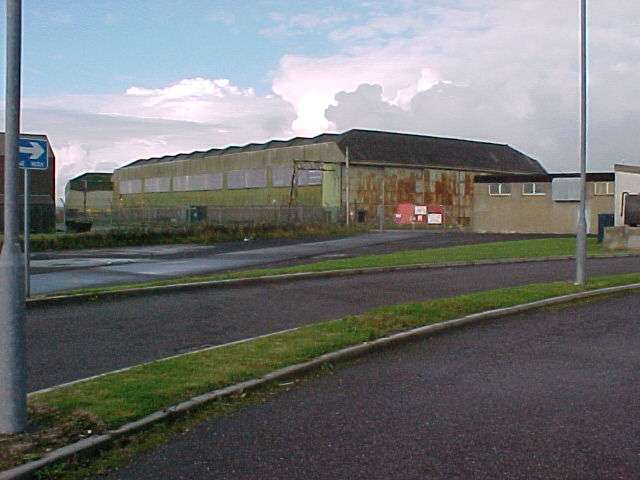 Some of the old hangars from the second world war remain at the airport - see picture below. 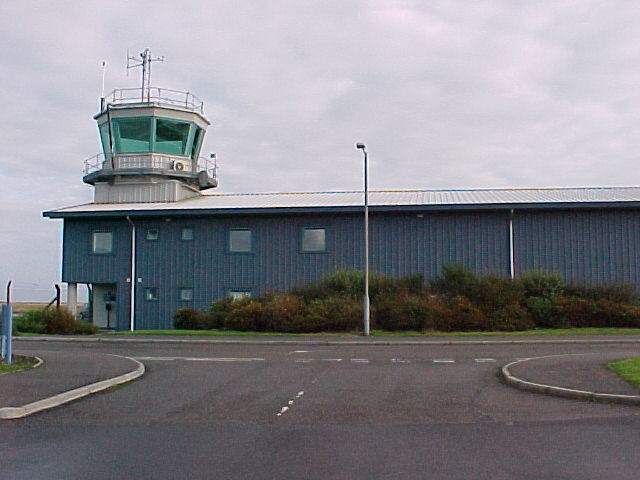 The airport was a vital part of Britain's northern defenses in the war. 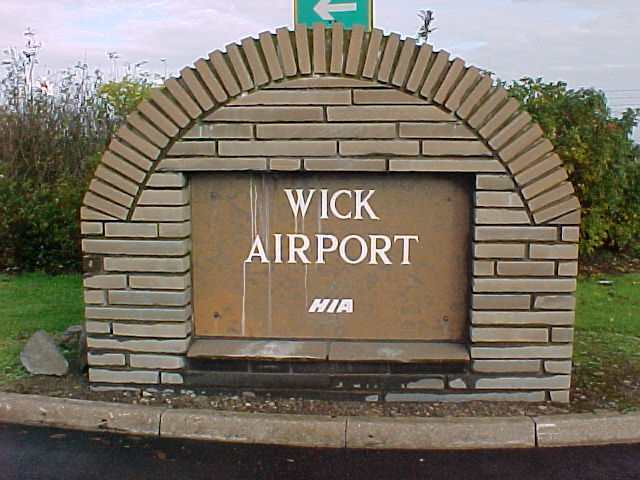 This is the reason why Wick has such a big runway - very long for it place in aviation for a small population. For wartime information see Wings Over Wick. The runway had a big resurfacing upgrade completed in September 2000. Highlands and Islands Airports Limited is leading the UK airport industry in environmental compliance by pioneering the use of a new fire fighting foam to be used by its Airport Fire Service. The impact on the environment of all flights in the Highlands and Islands of Scotland each year is less than the effect of just one day's air traffic between the UK and the USA, according to a new report by Highlands and Islands Enterprise (HIE). HIE, the agency responsible for economic and community development in the Highlands and Islands, commissioned the report in response to the UK Department of Transport and HM Treasury consultation, "Aviation and the Environment: Using Economic Instruments". 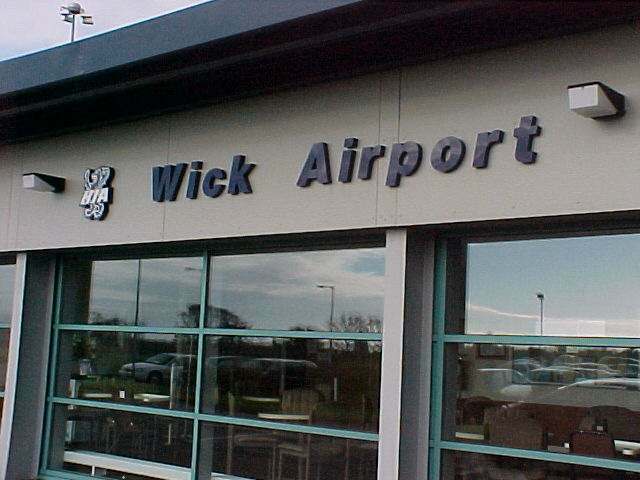 Wick Airport is run by Highlands and Islands Airports Limited. 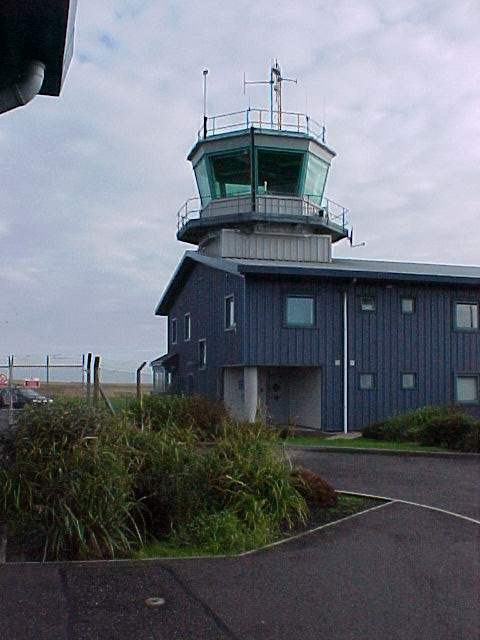 Highlands and Islands Airports Limited operates 10 airports � Barra, Benbecula, Campbeltown, Inverness, Islay, Kirkwall, Stornoway, Sumburgh, Tiree and Wick. In the year ending 31st March 2002, these airports handled more than 832,000 passengers, 6,755 tonnes of freight and almost 75,000 individual aircraft movements. Low-cost Swedish airline Snowflake has announced that it will fly a twice-weekly service between Inverness and Stockholm from March 2004. The airline, a division of SAS, will operate return flights on Mondays and Fridays from 29 March 2004 with one-way fares starting at �45. Flights will be operated with Boeing 737 aircraft. 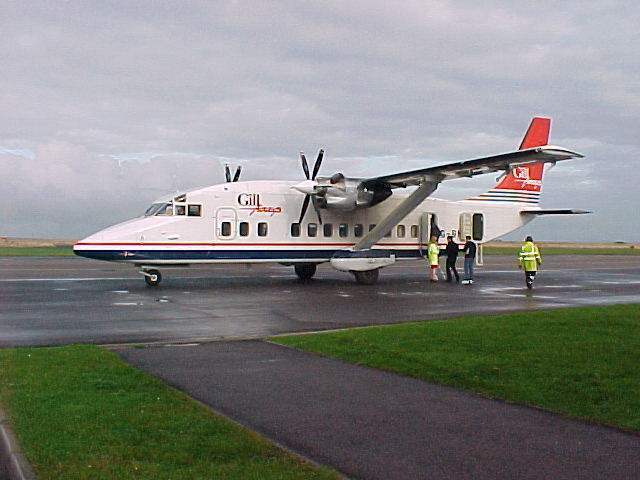 The announcement follows positive discussions between Highlands and Islands Airports Limited and the airline. The new route will be the first direct European scheduled service available from Inverness in 2004 and is expected to provide a major boost to tourism in the Highlands. Highlands and Islands Airports and Inverness and Nairn Enterprise (INE) jointly hosted a familiarisation visit to the region by Snowflake managers following the Routes 2003 aviation networking event in Edinburgh at the beginning of September. Alex Johnson, commercial and marketing manager at Highlands and Islands Airports said: �This is fantastic news and we are delighted that our discussions with Snowflake have resulted in a twice weekly service linking Inverness and Stockholm. 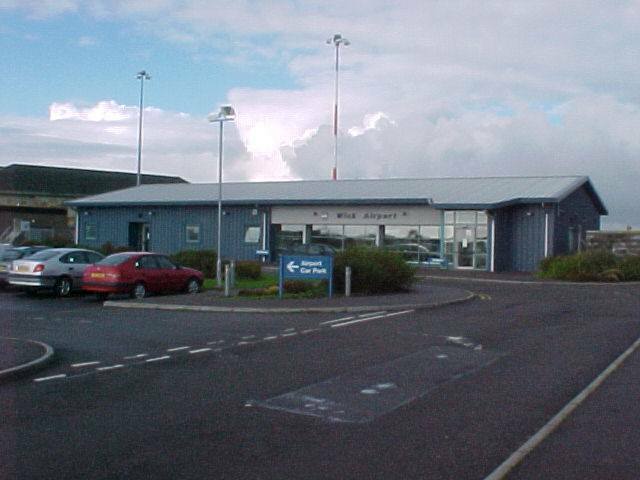 �After the recent Routes 2003 aviation networking event in Edinburgh HIAL and INE brought managers from Snowflake up to Inverness and showed them what the area has to offer visitors. They are confident that the region will prove a draw for the Scandinavian market and that it will also stimulate traffic from Scotland to Sweden. "We believe this service will provide a major boost for tourism in the region and fit well with the expanding range of full service and no-frills flight options from Inverness. Support from the Scottish Executive's Route Development Fund is again enabling us to expand the range of services available to travellers in the region," said Mr Johnson. INE, which co-hosted the Snowflake managers' visit earlier this year, also welcomed the airline's announcement. INE chief executive Stuart Black said: �The re-introduction of scheduled international flights from Inverness marks a significant step forward for the airport and underlines its attractiveness to a variety of operators. 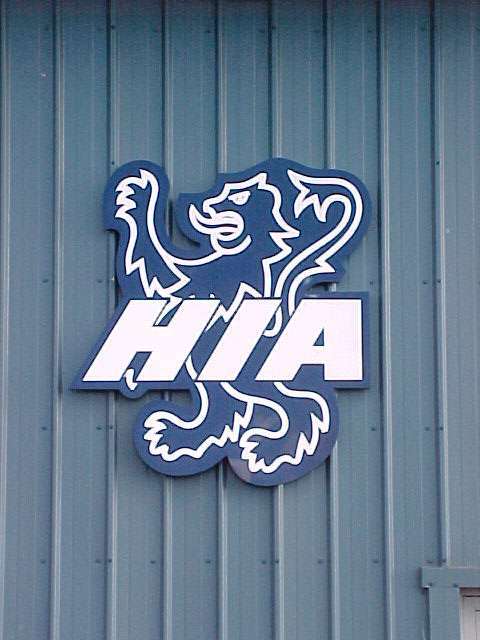 �I am delighted with this announcement, which is another good example of how HIAL and the Highlands and Islands Enterprise network are working together to bring new operators to the airport. �Inverness is a regional hub airport and the continued growth of new services is benefiting the whole of the Highlands,� said Mr Black. Flight and booking information for the new service is available on the www.flysnowflake.com website. 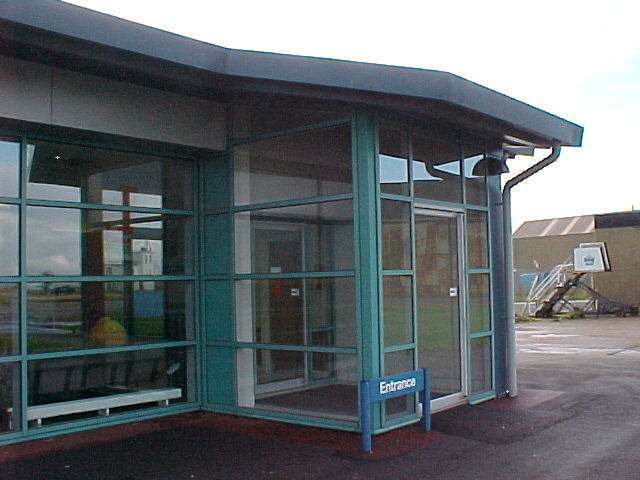 total budget of �6.8 million over three years. It is geared to investing in new target routes that have the greatest benefit to Scotland as a whole in terms of business links, inward investment and inbound tourism.